You'll get access to UNLIMITED books, magazines, audiobooks and more! This is like 2 or 3 different subscription services in one. 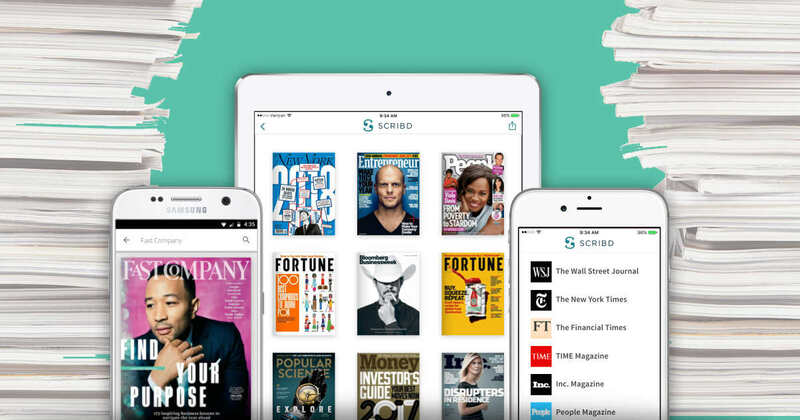 Sign up for a FREE 30 Day Unlimited Trial of Scribd and get access to millions of Books, Magazines, News and Audiobooks for your devices! What's so awesome about Scribd? It's the ONLY reading service you'll need, providing monthly access to millions of books, audiobooks, magazines, documents, and more — all for less than the price of a paperback. You can read or listen on all your favorite devices, including iPhones, iPads, Androids, Kindle Fires, and any computer or tablet with a web browser.